It is I Boo Team Leader of the Product Management team !! Alright back to reality ..
We then decided to ditch what we voted for and pick another idea !! 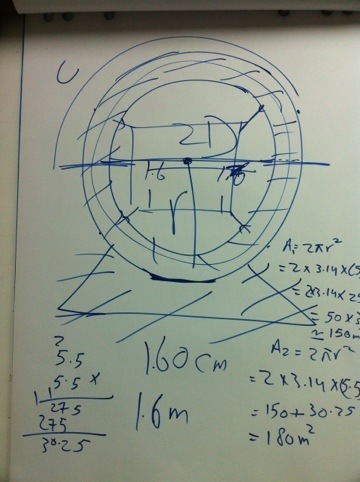 This is a picture of the idea we voted for eventually and some weird calculations done by Saeed. We then went over the idea a gizillion times until we finally decided to move on. Mustafa (being the gentleman that he is) continued working on the process and started leading the teams discussion. We named categories, selected team names and then put members under each team. 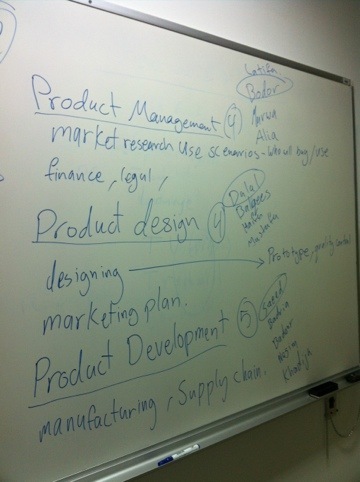 I choose to be in the Product Management team. It was then time to choose team leaders and despite my effort of hiding behind Dalal to make sure people won’t pick me, I was picked. Mustafa was voted to be the Big Boss so he is going to watch over the whole Project. BQ gave me a hard time for not being in the Product Design team with her. Dalal was forced to join the design team because of her amazing drawing skills. Aliaa drove us crazy and then decided to join BQ and Dalal. Marwa was dragged in with me to help me with the finance. So next class we are hopefully going to start doing some basic ground work. 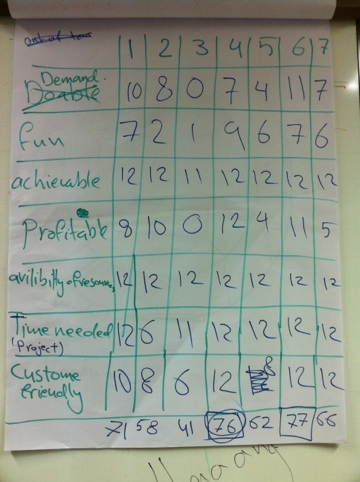 Each team member will have to assign tasks to its members and get the team to actually work! The class is going to be immediately after Eid so it will be tricky to switch from holiday mode, BUT I remain optimistic !! It’s time to sign off now! However, before I go away, I would like to introduce you to Dr. Dean !! 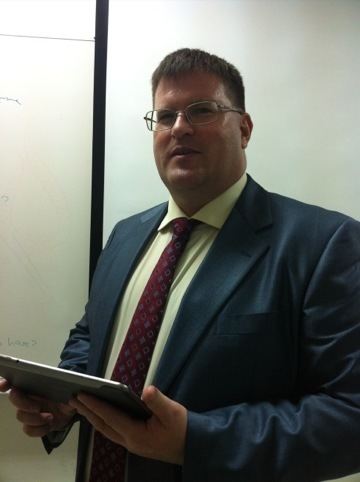 This entry was posted on Wednesday, November 2nd, 2011 at 10:10 pm	and posted in ClassBlog. You can follow any responses to this entry through the RSS 2.0 feed.